Fox Trot takes a look at both sides of the mother-daughter relationship between Millie and Blossomfall. Okay, Heyo, This is my first article, And It will be in the defense of Blossomfall and Millie. Now for Millie. Millie, I dislike Millie, She just kinda got thrown in and we were suppose to accept her, This may just be me, But, If a stranger came into my house like Mille just came into the books, I’d dislike them, But, that is besides the point, My point is, Mille is in the right and the wrong as well. So Millie treated Briar like a goddess after she broke her behind, Seems legit, But no, Millie ignored her other children’s existence when Briar got hurt, Briar didn’t even want the attention, but, Millie was just being a parent, A worried parent, Yes her just forgetting about her other kids was wrong, But if you had kids and they got and injury like that, You’d want to make sure they were okay every hour of the day too. But Millie did it the wrong way. She scolded Blossomfall for wanting just a small bit of her mother’s attention, That’s just wrong, Millie was showing clear favoritism to Briarlight and it wasn’t the right thing to do. But, That’s just my opinion, You’re welcome to argue with me, And I accept if you have a differing opinion, Thanks for reading this, Bye! Raven wishes everyone a happy lunar new year! You’re quite right. Both of them made some mistakes that weren’t okay. Great Article!!! Cool article 😺! Nobody is completely right or wrong on this Earth, but in this case, I’ll give more sympathy to Blossomfall than Millie. At least Blossomfall knew she was wrong, but Millie seemed like she never noticed she was doing wrong. Besides, Blossomfall changed at last and made up her relationship with Millie and Briarlight, yet I’m not sure Millie had stopped her favoritism in the end. Millie surely has something positive that we can learn from her, but I just don’t like her as much as Blossom. While I’ve never really been the biggest fan of Blossomfall, a lot of recent articles lately have made me change to just having a neutral opinion on her now. 😛 Nice article! Good article! I personally like Millie over Blossomfall. Millie was just caring for her kit that could die any second, but Millie should’ve cared more for Bumblestripe and Blossomfall, but in my opinion Graystripe should’ve cared too. Blossomfall needs to learn that her mother can’t be with her more then Briarlight, and she didn’t have to train in the dark forest. 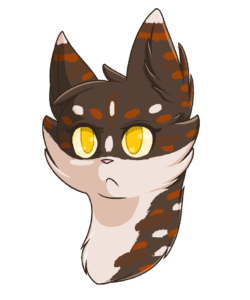 Also, Blossomfall was mad disrespectful of other cats in her clan, and she can have a bad attitude sometimes. Millie also helped Graystripe get back to Thunderclan, and maybe without her Graystripe would’ve never returned. Maybe now since Briarlight is dead, she’ll start to open up to her other kits a bit. I agree. I honestly still dislike Blossomfall to this day. Definitely agree, but I think Millie already opened up to her other kits in AVOS because we didn’t see her fussing over Briarlight as usual. She seemed more…relaxed in the elder’s den. Nice article! 🙂 I agree with your points but I really like both characters. I disagree. I think Millie was more justified. Hear me out. Briarlight’s condition is not something to be pushed aside as “just losing her back legs,” for that was not all she lost. Her spine was crushed. Her immune system was severely weakened. Not to mention she couldn’t walk. Meaning if she caught a sickness or a disease, she could die if she wasn’t immediately tended to. Her body couldn’t hold things off long. And that point cannot be argued with because that is exactly what happened. 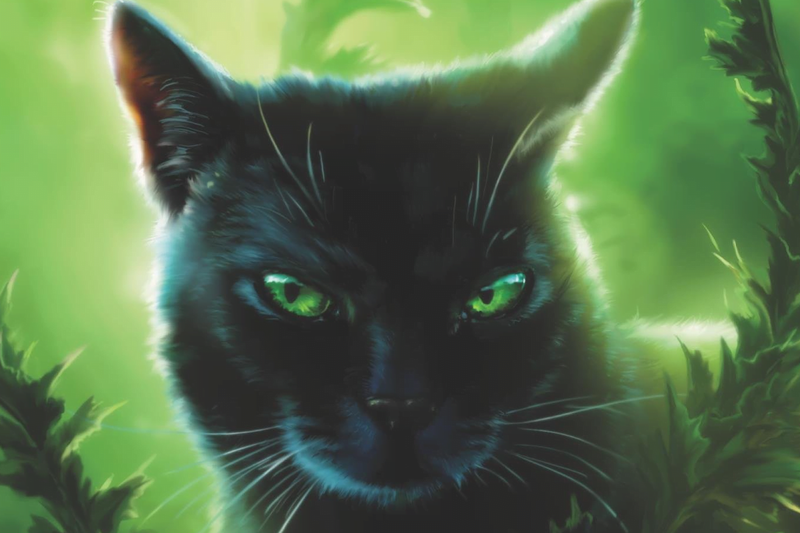 The medicine cats’ best attempts to save Briarlight could not save her in the end. They accidentally neglected her, didn’t realize how bad her sickness had gotten, and she was gone. I really cannot blame Millie for being hysterical. Yes, she needed to chill out at times when she threatened others or lost her mind. But think about Briarlight’s hopes and dreams. The destiny promised to every cat except those who would become medicine cats was snatched away from her. Of all cats, it was Millie’s child. Of all cats it could have happened to, it was Millie’s daughter who was cursed with this. Think about how this would make Millie feel, seeing her daughter on the brink of death every day, struggling to make the smallest movement, her dream snatched from under her feet. It broke her heart. As for Blossomfall. I agree that Millie was being harsh on her. Hearing that her own daughter was sick and saying “oh, she’s fine” before rushing away was a harsh move. Not to mention running up to her and yelling at her in front of the entire Clan, without even knowing what happened as she wasn’t watching when Blossomfall revealed that she had went exploring in the tunnels.. That was cruel and very uncalled for. However, couldn’t Blossomfall been a bit more understanding? How could she not realize why Millie was giving all her attention to Briarlight? How could she not understand that Millie loved her anyways? Because from what we’ve seen, Millie already proved her love to Blossomfall when she argued with Squirrelflight when the latter scolded Blossomfall. Blossomfall knows Briarlight’s condition very well. I know she misses her mother’s love and guidance now that she’s occupied with Briarlight. But wondering if Millie would care if she died in the tunnels? This makes me think Blossomfall did this to just see if Millie would care if she saw her scathed. And what about joining the Dark Forest because she thinks she’s a bad person and she’s not allowing herself to right herself? I can see how she’d do that in her state of mind but does it make it right? Definitely not. As for the topic of Millie’s treatment of Blossomfall. Okay. So Millie neglected her. But let us keep in mind this is after Briarlight’s accident, not before. So Millie never truly meant harm to Blossomfall. And did she show any signs of knowing how Blossomfall felt? Did she go out of her way to make her feel miserable as in calling her worthless or anything like that? No. She told Blossomfall to stop wasting her time and start providing for the Clan and that it was time she grew up. She mentioned how much Briarlight would have loved to be in her place. Blossomfall went into the tunnels and wondered if Millie would care if she got into serious trouble. And Millie did! She didn’t completely ignore Blossomfall, did she? She didn’t insult her or call her names. She humiliated her daughter in front of her Clan, and I agree, that was very cruel and unnecessary. But listening to her message? That shows that Millie loves and cares about Blossomfall a lot. That she needs her daughter to be safe. That she wished that all three of her kits were healthy so she didn’t have to involuntarily spend all her time worrying about one. I think both of them made mistakes. But in the end, I always sympathize with Millie more. I agree, I also sympathize with Millie more. I think that everything Blossomfall did could have been avoided if she had just talked to Millie.